Zimbabwe brushed aside Congo-Brazzaville 2-0 in the 2019 Africa Cup of Nations (Afcon) qualification Group G match at the National Sports Stadium in Zimbabwe on Sunday. The win saw the Warriors book their place in the Afcon finals as Group G winners, while the Red Devils failed to qualify after finishing fourth in the group. The two teams had played to a 1-1 stalemate in a Group G encounter which was played in Congo-Brazzaville last year. The Red Devils, who were without their star striker Thievy Bifouma, were able to contain the Warriors in the opening 15 minutes of the match. However, the Warriors managed to break the deadlock in the 20th minute after they were awarded a free-kick in a promising area. Khama Billiat stepped up and beat Congo goalkeeper Wolfrigon Mongondza with a well-taken free-kick to make it 1-0 to Zimbabwe. Congo tried to respond with a goal, but the hosts looked organised and solid at the back with Teenage Hadebe marshalling the Zimbabwe defence. 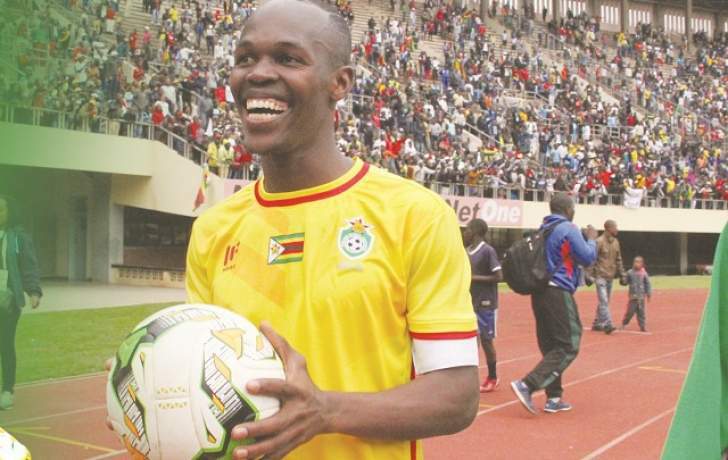 It was soon 2-0 to Zimbabwe following a mistake by Congo defender Fernard Mayembo and the visitors were punished by Knowledge Musona. The Zimbabwe captain scored with a powerful shot which beat Mangondza hands down nine minutes before halftime. Zimbabwe were deservedly leading 2-0 at the interval. The visitors pushed for goal in the second half having introduced Guy Mbenza, who is a striker by trade. The 19-year-old had a chance to pull one back in the 55th minute, but Zimbabwe goalkeeper George Chigova made a great save to deny the Congolese teenager. With his side leading 2-0, Zimbabwe coach Sunday Chidzambwa introduced attacking midfielder Ovidy Karuru in the 65th minute as the hosts searched for more goals. The Red Devils launched attacks in search of late goals and Chigova was called into action in the 74th minute, and he dealt well with Prince Ibara's cross. Zimbabwe stood firm at the back in the dying minutes of the encounter and, ultimately, they secured a 2-0 win over Congo. Zimbabwe: Chigova, Darikwa, Phiri, Munetsi, Pfumbidzai, Hadebe, Billiat, Kadewere (Mutizwa 86'), Rusike (Karuru 65'), Mudimu, Musona (Chawapiwa 77'). Congo: Mongondza, Etou, Baudry, Mayembo, Konongo, Loussoukou, Oniangué (Mbenza 46'), N'Dinga, Ndockyt, Ibara, Makiesse (Kapolongo 67').